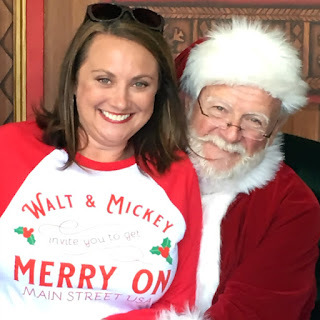 Have you heard about the Christmas Tree Trail at Disney Springs at Walt Disney World? Through January 7 2018, 25 Disney-themed Christmas trees are on display! It's the second year for the event, but this year they extended the trail and added Santa! I went on a weekday and the line was only 10 to 15 minutes. I imagine more time would be needed for a weekend visit.